Guess what I found when I cleaned up my room a bit this weekend?? The Happy Grad stamp that I wanted for my last card and couldn't find! Imagine that!!! So, here are two versions of the card I was originally thinking of for the last sketch I did. One for a demo friend's son, and one in local school colors just in case I need one this weekend! Wow, a card made in advance-what a concept!!! This one is going in the mail. Card base is Pumpkin Pie, textured with the new Square Lattice folder. Stars were cut with the Big Shot in Pumpkin Pie & Basic Black. 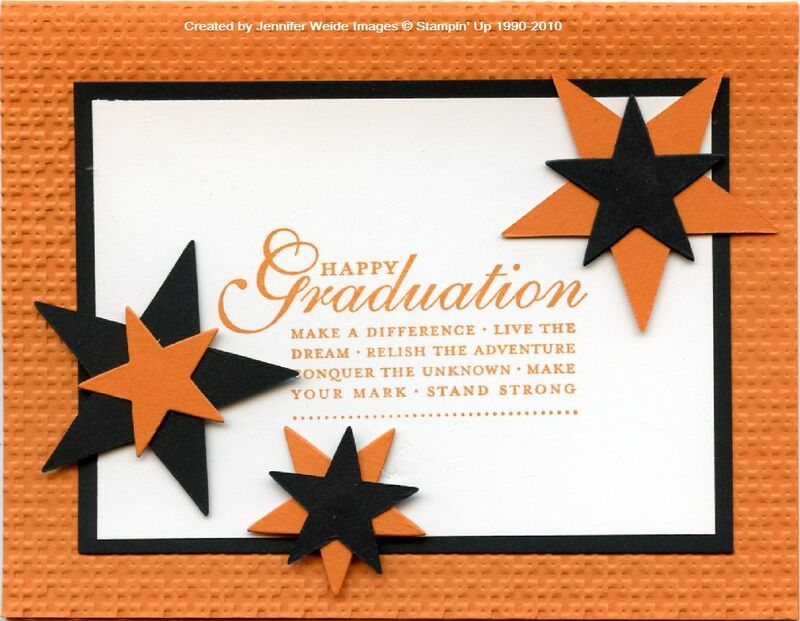 Happy Graduation is on Whisper White in Pumpkin Pie, layered on Basic Black. This one is Crete High School colors, Real Red & Brilliant Blue. Same details as above! Back to creating!! I love the colors and I should take your lead and create cards before I need them. Your layout is simple and striking. Thank you for playing at Hand Stamped Sentiments. I love your layout - simple and striking. I should take your lead and create cards before I need them. Thank you for playing at Hand Stamped Sentiments. LOVE the card! 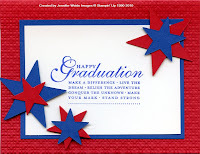 I think we often get stuck in a certain mind set when creating Graduation cards and it was great to see you think out side the box. It is perfect for either gender and fun to boot!! Thanks for playing along at HSS!